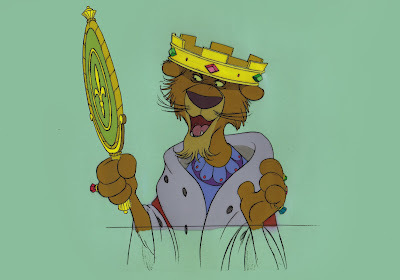 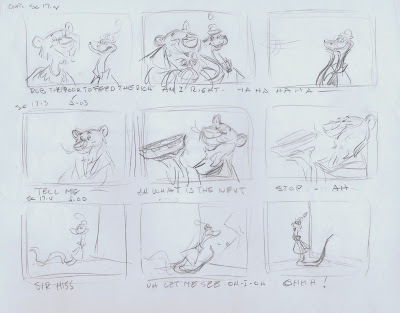 These lovely sketches by Ollie Johnston show scene continuity and staging for the introduction of Prince John and Sir Hiss in the film "Robin Hood". 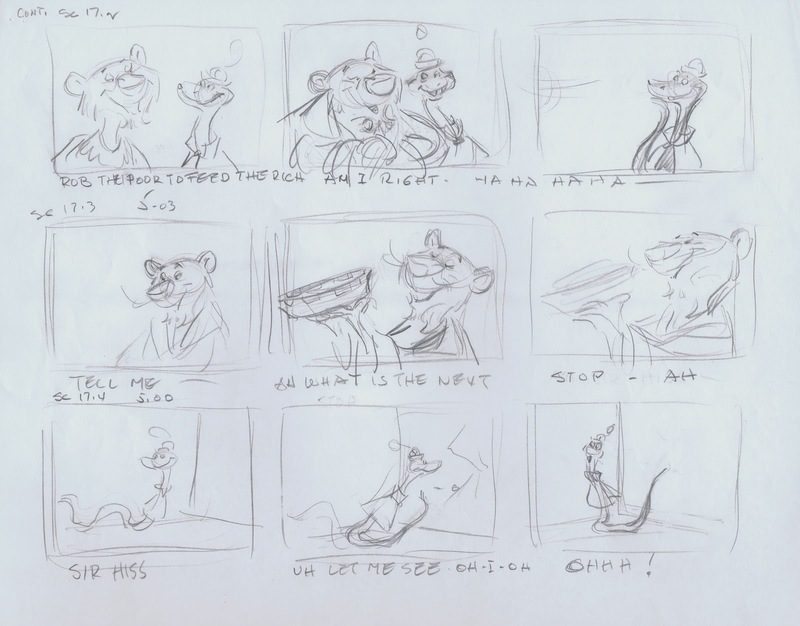 They are based on original storyboards, which were done by artists like Ken Anderson, Vance Gerry and Dave Michener among others. 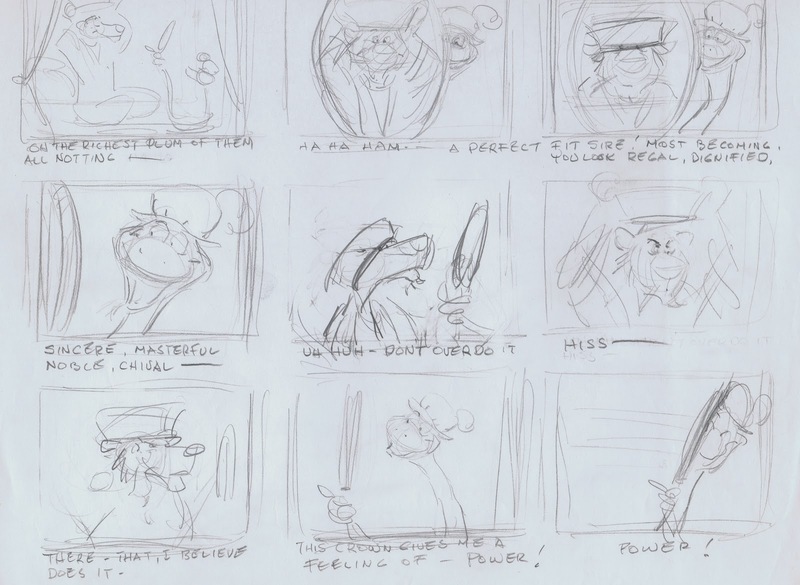 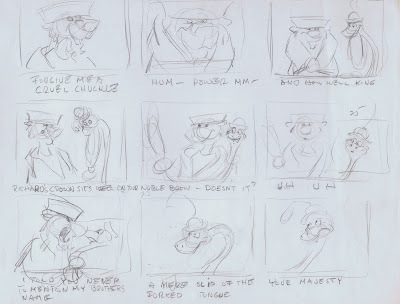 But before Don Griffith and his layout team would start working on the the background scenery, Ollie took a last look at the story sketches, intending to improve and refine the continuity and bring out the characters' personality. 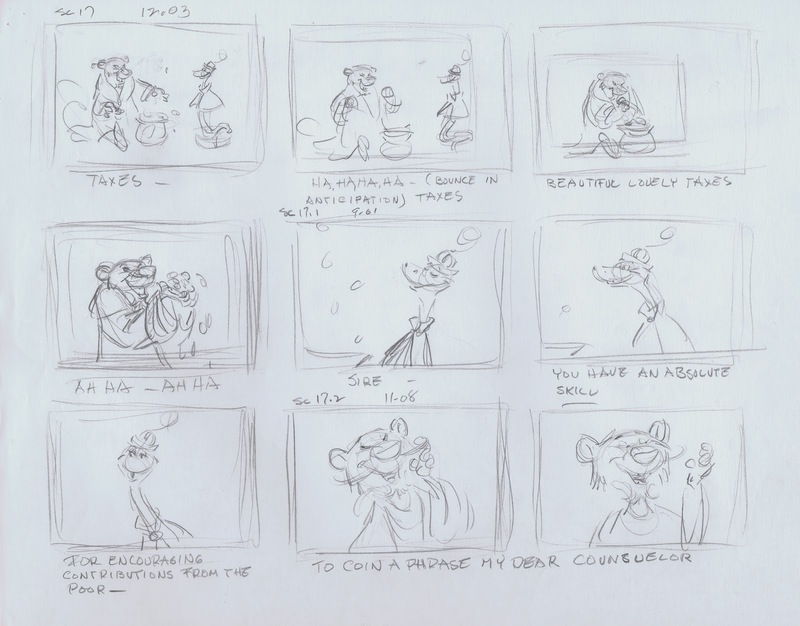 My generation of animators got involved in this stage of production as a group. 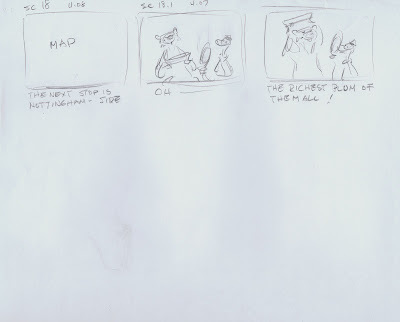 We had long meetings in which storyboards were scrutinized. 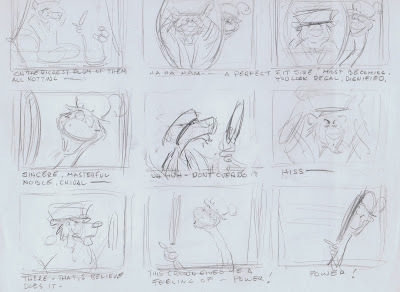 Present were the directors, key layout and story people and the supervising animators. 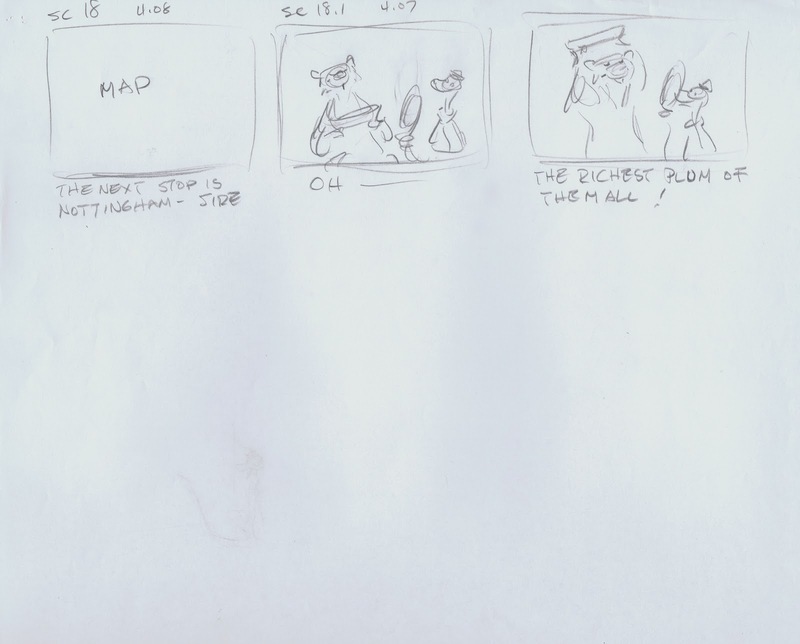 Everybody was encouraged to come up with ideas that would plus what we saw in the storyboards. 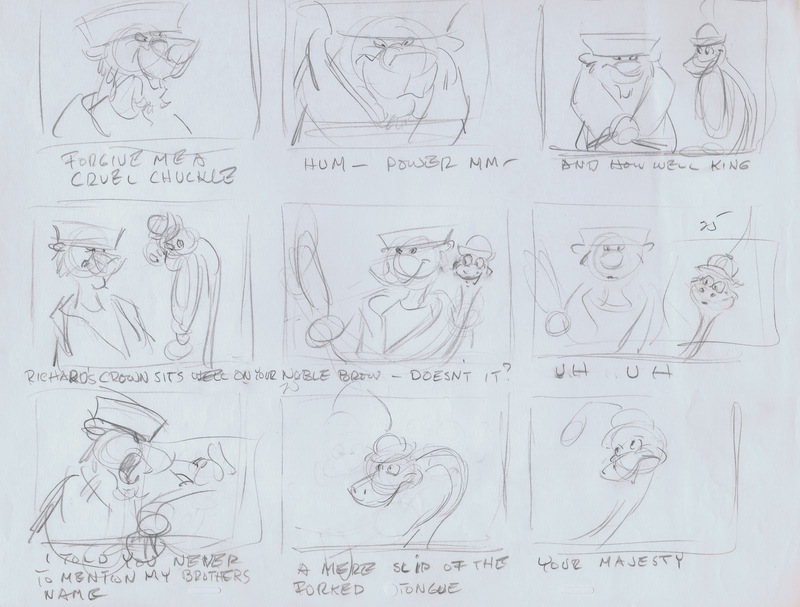 After all changes and improvements were made, so called "Work Books" were printed out as a final guide to the animators, layout and background artists. If you compare Ollie's sketches to the final film, you'll find out that he pretty much stuck with what he had planned out in his "Work Book" pages.